Delivery from £10.37 to United Kingdom in 10 - 20 working days. These pots are useful in the kitchen for tea and sugar for instance. They make a perfect give-away for almost any occation! The spots and triangles that decorate these Jars are simple and beautiful and has a touch of retro. Its also the time around the 50-s and 60-s that inspires me when working in my studio. Material is earthenware clay with a glossy finnish. 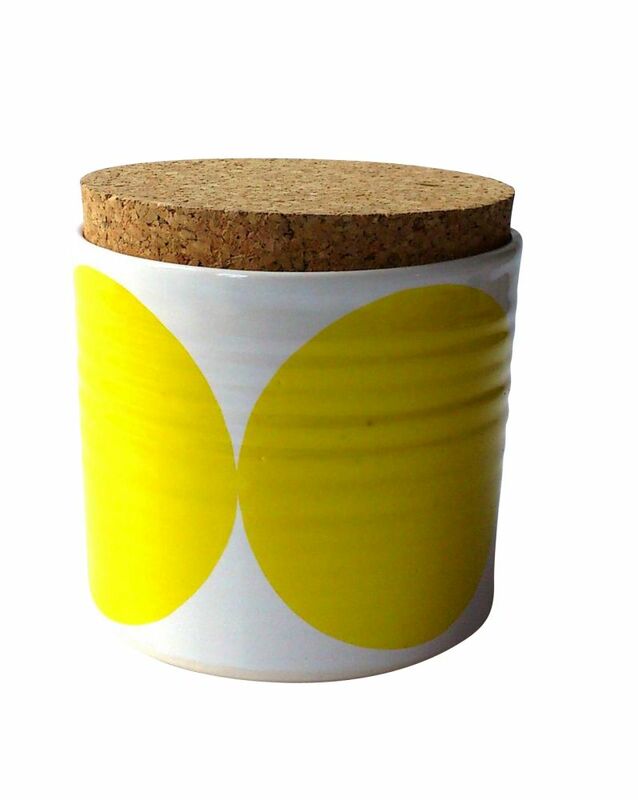 A corklid comes on top and keeps the tea or sugar dry and fresh! These pots are thrown on the wheel and made by hand in my workshop in Sweden!